There are two methods of adding a new Bundle to Lintalist. 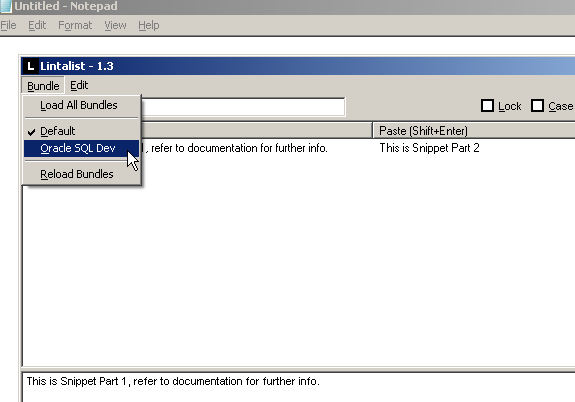 Create a new bundle in your text editor and copy that file to the \bundle\ folder and reload. Use Lintalist to create a bundle and start adding snippets. 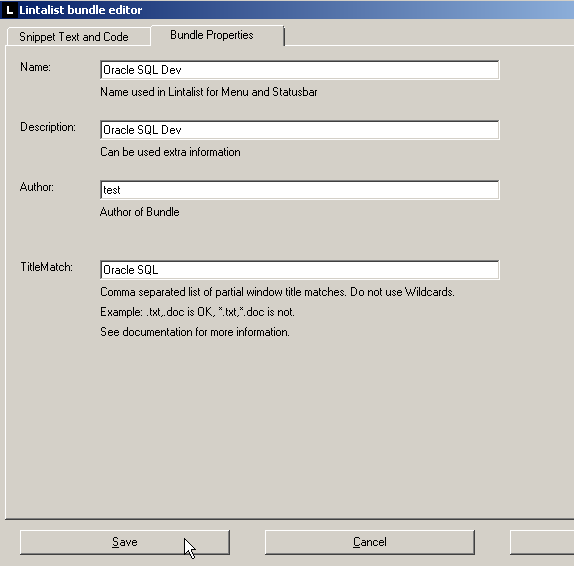 This page will illustrate how to add a new Bundle using Lintalist. 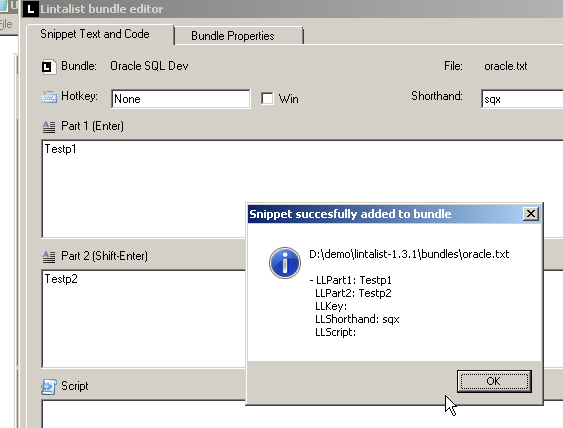 We'll create a bundle for the "Oracle SQL" program below. 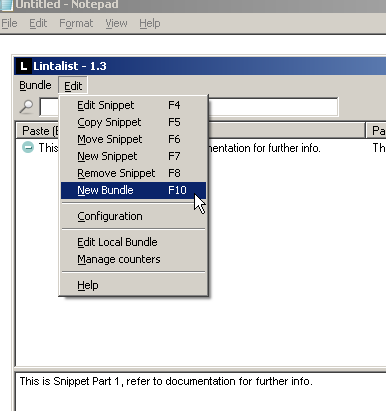 To add a new bundle (a collection of snippets) open the Lintalist search window and use the menu: Edit, New Bundle (or press F10). The Lintalist Bundle Editor will open on the second tab where you can enter the name, title match and other data. The most important fields are Name and TitleMatch. 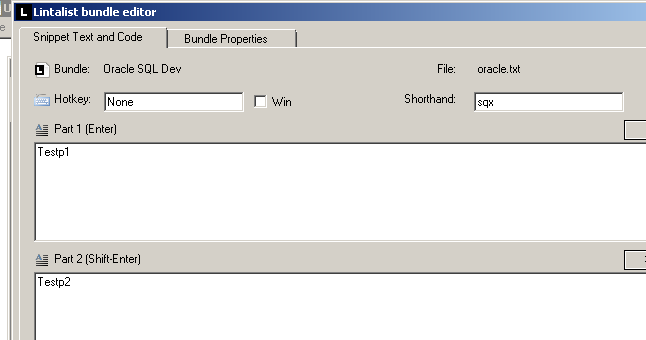 The name is used in the Bundle menu and the TitleMatch will allow you to make a Bundle context sensitive which means the search, abbreviations and shortcuts will only be available in Windows which match the title you enter in the TitleMatch field. In our example: you can see we've used "Oracle SQL" (sans quotes) as a TitleMatch. You can simply continue to add new snippets if you wish. 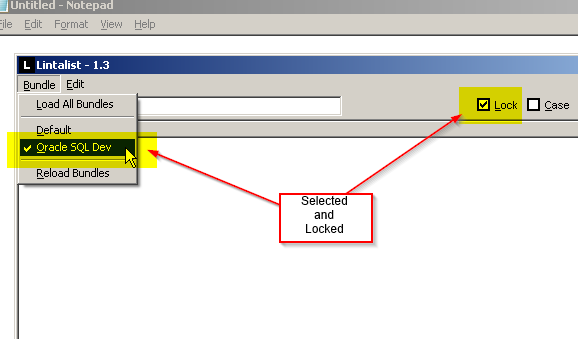 Once ready do not forget to unlock the bundle by ticking the Lock check box in the Lintalist search window. 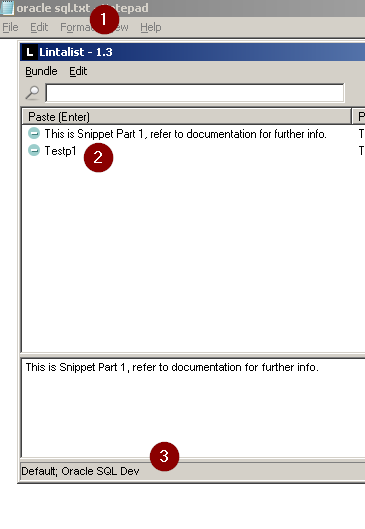 You can search for snippets or use the shorthand or shortcut for the snippet you want to use.